What is the structure of Grand Isle Resort? Grand Isle Resort and Spa is a high end condominium style resort complete with staffing, infrastructure and management services. Grand Isle is the proud recipient of the coveted AAA “Four Diamond Award.” The 78 individual villas are all privately owned and possess an equal ownership share of the hotel company Grand Caribbean Resorts (GCR) which manages the operations of the resort including the rental program, food and beverage services, housekeeping, the spa, reception area and the fitness center. What is the financial condition of Grand Isle? 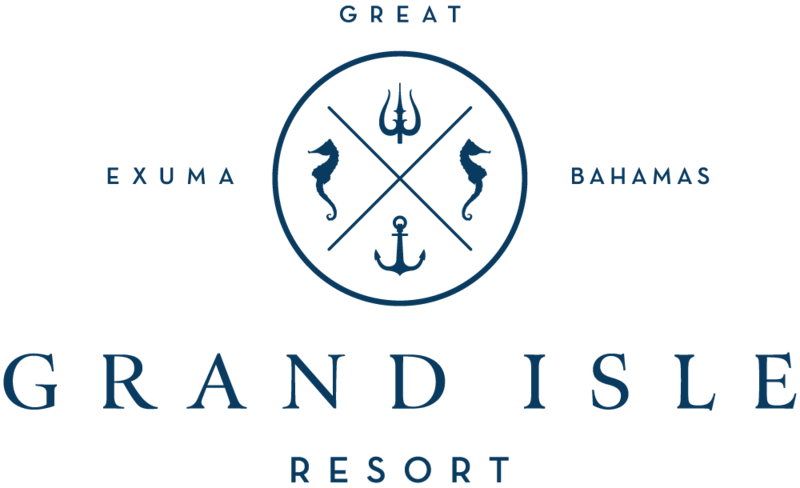 What is the structure of Grand Isle Resort? The villas are all individually owned and all participate in the homeowners association, the HOA. The HOA has no debt and is self funding. GCR, the hotel company has become very profitable over the past few years due to increased occupancy and higher ADR’s (average daily rates). GCR currently has a modest mortgage obligation on the recently completed maintenance building located across the street from the entrance to the Resort. What is included in the HOA fees? The HOA fees are billed quarterly and fund the cost of such items as high speed internet, 24 hour security, landscape maintenance, concierge and beach services, and reception. HOA fees are based on the square footage under air of the villa. Not included in the HOA fees are individual work orders and utility bills. They are billed directly to the owner on a quarterly basis. How often do the HOA fees change? HOA fees are evaluated each year by the Directors. Once established for the calendar year, they remain constant for that year. What are the advantages of the rental program? Participation in the Grand Isle rental program qualifies your villa for a 100% property tax exemption! Grand Isle is qualified for this exemption under the Bahamas Encouragement Act which was initiated by the government to promote investment in developments encouraging tourism. In addition under the rental program, you will receive rental income (rental splits) at the end of each quarter based on occupancy and the rates at which you villa was rented. How is the rental program administered and how is rental revenue distributed? Villas in the rental program are booked on a rotation system by size and location which insures orderly and equitable revenue for each owner. Villas are classified by location such as garden view, marina view, ocean view and ocean front. Reservation requests reflect this location preference and the number of bedrooms desired – one through four. Rental revenue distributions are made at the completion of each quarter to the owners and are based on occupancy and rental rates for each villa. All villa rental rates vary by season and are not constant throughout the year. As a villa owner, I understand I own my villa but who owns the common areas such as the Palapa Grill, Reception area and the Sea Star Spa? Ownership of all the common areas belongs to the HOA. There are no outside entities involved. This insures that Grand Isle Villa Owners have complete control over every aspect of the resort. How is rental revenue distributed? Rental revenue is distributed 50% to the villa owner and 50% to GCR, the Hotel Company after deductions for credit card fees, travel agent fees, and a charge for amenities. This split funds the hotel operation which includes reservations, food and beverage services, housekeeping, the spa, reception area and the fitness center. Does my villa have to be part of the rental program? The rental program is completely voluntary, however there are significant advantages to participation in the program - specifically 100% exemption from property taxes and the distribution of rental income (rental splits) on a quarterly basis. Rental income funds the hotel operations which include equipment purchases, decorations, marketing and promotions. Your villa must be kept up to Grand Isle standards when participating in the rental program. The program is administered by Trust Hospitality, our management company, and villa owners must rent through this program to qualify for these benefits. Owners cannot rent their villas privately. What are the real property taxes if I choose not to participate in the rental program? Property taxes are determined by the “appraised value” of your villa. The tax rate is 1% on the first $500,000 and 2% on the value above that. Does ownership include more than the villa itself? Yes, ownership of a villa also includes a garage and a golf cart. In addition you own a 1/78th share of all common areas. That means you also own a piece of the hotel company, GCR, and benefit from its profitability. Who decides the price at which my villa is rented? Grand Isle has a contractual relationship with Trust Hospitality, a professional Florida based hotel management company. The Grand Isle Directors meet with Trust Hospitality on a regular basis to administer the annual marketing plan and monitor budget performance which includes rental pricing, promotions and advertising. How much time can I spend in my villa each year while remaining in the rental pool? Owners can spend up to 90 days each year in-residence under the Hotel Rental Program and continue to enjoy the benefits of the property tax exemption. Experience has shown that very few owners ever reach that maximum level. What are the other benefits of purchasing a villa at Grand Isle? All maintenance and repairs are taken care of for you with one call to the front desk. Routine maintenance is non billable. Repairs are billable to the owner. Our staff is experienced and capable of addressing your requirements. We maintain an inventory of commonly required parts so in the event of a breakdown your villa can be restored promptly. In addition we have full security provided 24/7 with daytime and nightly rounds and front gate security. It is comforting to know that safety and security are always on hand assuring our owners and guests of a care free getaway. Is Grand Isle open all year round? With the exception of a “close down” period for two to three weeks in September for major maintenance items, Grand Isle is open year round. During the “close down” period the restaurant is closed and owners are encouraged not to use their villas due to limited service. Who is responsible for any damage to a villa? The guests renting the villa are responsible for any damage incurred during their stay and charged accordingly. As an owner, you will be informed promptly of any damage but do not have to play a role in handling repairs. Our capable staff is qualified to address such issues. Are the Grand Isle facilities open to the public? The Palapa Grill is open to the public when Grand Isle occupancy can accommodate outside guests. Day passes can be purchased during these slower periods. At peak occupancy periods, outside guests may be unable to secure a reservation to dine at Grand Isle. The pool and gym are reserved for the owners. Is Grand Isle affiliated with any resort exchange destinations? Yes Grand Isle is a part of Elite Alliance and 3rd Home which offer exchange opportunities with over 1,800 premier residences. A quick visit to these two web sites will display the wide range of worldwide options! Is there any agreement with Sandals to use their facilities? The golf course and marina are open to the public. The restaurants and other facilities are only available with a pre-purchased day or evening pass. Grand Isle Resort does have pre-purchased golf rounds and does get some preferential consideration when booking tee times. The Concierge at Grand Isle can provide information on these opportunities. Are there any medical care facilities on Great Exuma? A 35.000 square foot local hospital has recently been built on Great Exuma and is currently expanding the medical staff. What other convenience services are available on Great Exuma? There are several grocery options from a convenience store five minutes away to a complete grocery store Exuma Market in Georgetown. There is also a pharmacy and a wonderful new butcher, Prime Island Meats providing fresh and cooked chicken, fresh fish, beef, pork, lamb, homemade lasagna and fresh salads. Are there any recommended off island day trip opportunities to be aware of? Yes and they should not be overlooked. The waters surrounding the numerous Exuma Islands are among the most beautiful in the entire world. Our Concierge can arrange a variety of day trips with local captains who are equipped to provide wonderful memories – visit the swimming pigs, be greeting by iguanas as you walk ashore on a private island, dive for conch and have a complete luncheon prepared and served featuring fresh conch salad. These are the kinds of things that make the Exumas so unique and special!